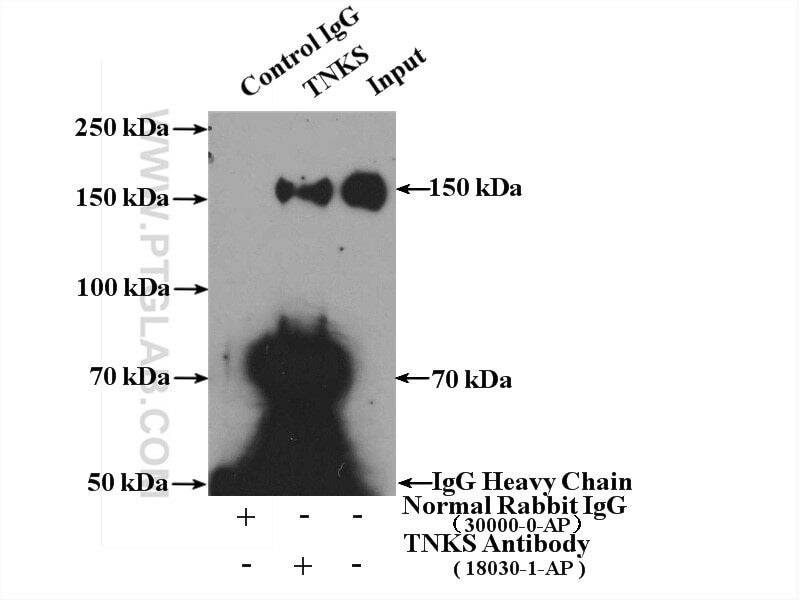 Immunofluorescent analysis of HepG2 cells, using TNKS antibody 18030-1-AP at 1:25 dilution and Rhodamine-labeled goat anti-rabbit IgG (red). Blue pseudocolor = DAPI (fluorescent DNA dye). 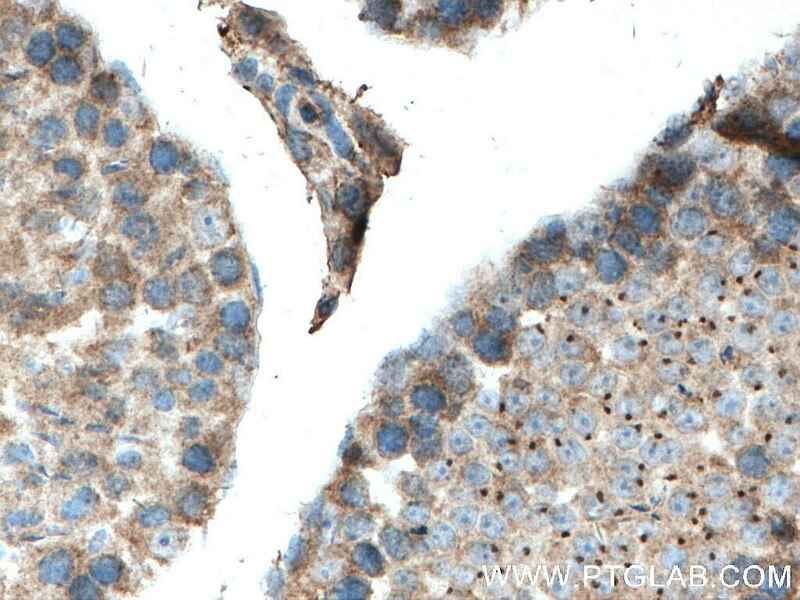 Immunohistochemical analysis of paraffin-embedded mouse testis tissue slide using 18030-1-AP (TNKS antibody) at dilution of 1:200 (under 10x lens) heat mediated antigen retrieved with Tris-EDTA buffer(pH9). 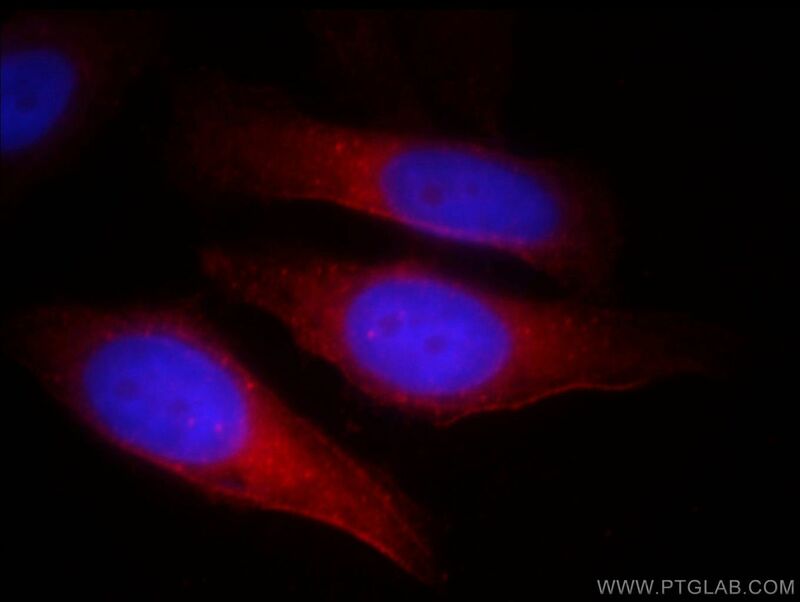 IP Result of anti-TNKS (IP:18030-1-AP, 4ug; Detection:18030-1-AP 1:500) with Jurkat cells lysate 3200ug. 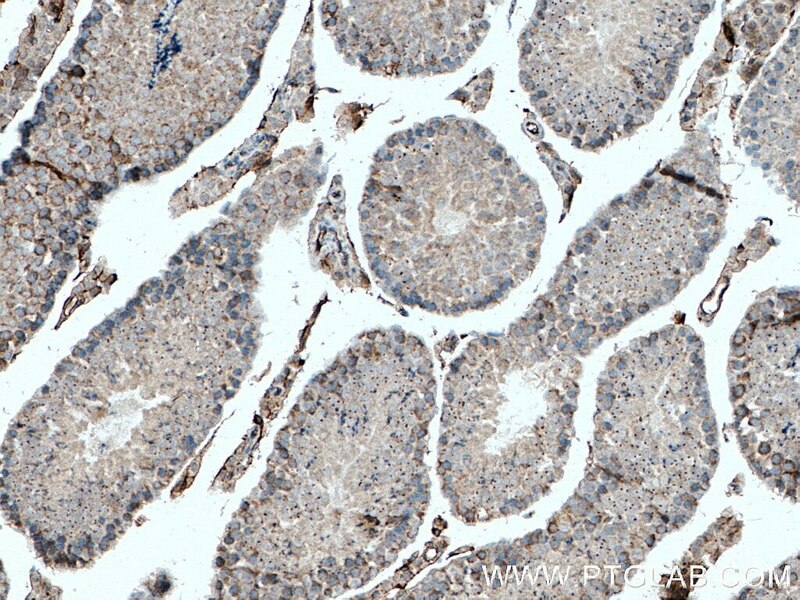 Immunohistochemical analysis of paraffin-embedded mouse testis tissue slide using 18030-1-AP (TNKS antibody) at dilution of 1:200 (under 40x lens) heat mediated antigen retrieved with Tris-EDTA buffer(pH9).